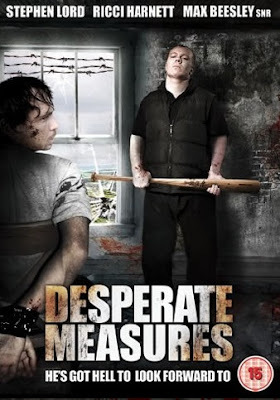 A nice collection of British actors can be seen in the new DVD release “Desperate Measures” The film is an independent so has promise to be grittier than most. Chris Green Productions in association with Lioneyes TV has made the film which stars Stephen Lord, Ricci Harnett, as well as Max Beasley Snr. Tackling the subject of drug withdrawal and kidnap set a against a stark Yorkshire Landscape the film features a claustrophobic turn on capture and redemption; directed with some nuance by Steve Looker. The trailer below shows the style of the film nicely and it’s on DVD now.